Last week, Robert Faiella, the operator of a Bitcoin exchange connected with online black market bazaar Silk Road, received a four-year prison sentence after pleading guilty to operating an illegal money business. Bloomberg reported that Faiella, a former plumber living in Florida, told US District Judge Jed Rakoff on January 20 that he exchanged Bitcoin under the name “BTCKing” for use in online drug deals in order to support his family after back troubles disabled him. The New York Times reported that Rakoff noted that Faiella had been convicted in a tax case before and his sentence needed to be long enough to deter him from committing other crimes. “In his case, clearly he didn’t learn the lesson,” said Rakoff, who also ordered Faiella to forfeit $950,000. Faiella was charged last spring with Charlie Shrem, a former Bitcoin Foundation vice chairman who received a two-year prison sentence in December. The case arose out of an investigation into Silk Road, where customers used Bitcoin to buy drugs and other illicit items anonymously. The Times reported that Faiella and Shrem were accused of letting more than $1 million worth of Bitcoins reach Silk Road. 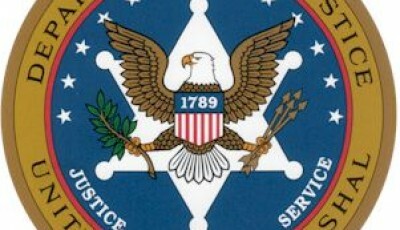 Authorities have alleged that the website’s San Francisco operator generated more than $1 billion in illicit activity from 2011 until the site was shut down in 2013. Prosecutors said Shrem failed to file even one suspicious-activity report with the US Department of Treasury with regard to Faiella. The Times said Faiella must report to prison on March 3. Ross Ulbricht, who says he founded Silk Road, is currently on trial on conspiracy and Internet drug trafficking charges. Having denied the charges, Ulbricht claimed he launched Silk Road as an “economic experiment,” then left the website a few months later when it became too stressful for him, reported Bloomberg. Ulbricht alleged he was set up as a “fall guy” by Mark Karpeles, who had operated the now-defunct Mt. Gox Bitcoin exchange. Jared Der-Yeghiayan, a Department of Homeland Security special agent, testified at Ulbricht’s trial that he believed in mid-2013 that Karpeles operated Silk Road. Bloomberg reported that Der-Yeghiayan told jurors that investigators later determined that Karpeles was not involved. Karpeles has denied having anything to do with Silk Road. Last Wednesday, prosecutors in the Ulbricht case showed jurors excerpts from a digital journal found on a laptop seized when the FBI arrested Ulbricht, reported Reuters. “Silk Road is going to become a phenomenon and at least one person will tell me about it, unknowingly that I was its creator,” said a 2010 entry on the laptop. A 2011 entry detailed Silk Road’s launch, a “huge spike in signups” after getting media attention, and calls by two US senators for the site’s shutdown. Silk Road thrived, and as Ulbricht made as much as $25,000 per month, he decided to take the site “to the next level,” said the journal, as reported by the New York Times. On Thursday, jurors heard testimony from Richard Bates, an eBay software engineer who was a college friend and one-time programming partner of Ulbricht’s. Wired reported that from late 2010 until at least 2011, Bates said he gave Ulbricht coding advice on project Ulbricht called “top secret.” When Bates ultimately refused to offer Ulbricht any more help unless he disclosed project details, Bates said that Ulbricht showed him Silk Road for the first time on a laptop in Bates’ home. Bates testified that by November 2011, Ulbricht would tell him that he had sold Silk Road and was no longer involved in the website. But the prosecution showed a chat log from the following month pulled from Ulbricht’s computer in which Ulbricht appeared to tell an associate involved with Silk Road that he lied to two people about selling the site and in fact still maintained control of it. Despite his initial shock after Ulbricht revealed his project, Bates said he continued to advise Ulbricht on Silk Road programming issues. 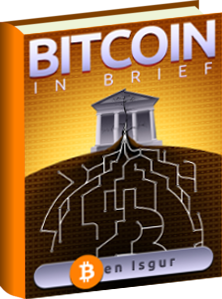 The pair would later collaborate on plans for a Bitcoin exchange, Bates testified. 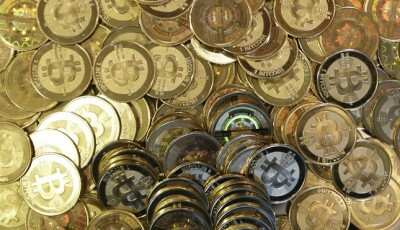 Wired reported that Bates also used Silk Road to purchase drugs using the alias “melee.” He told jurors that Ulbricht had personally given him a bag of psychedelic mushrooms he’d grown and stored in a large trash bag, offering further evidence that Ulbricht had sold his own homemade mushrooms as the first product on Silk Road. Bates testified that in November 2011, Ulbricht came to his home in a panic. Someone had posted on his Facebook page, “I’m sure the authorities would be very interested in your drug-running site.” Ulbricht had quickly removed the post and unfriended the individual who wrote it. Bates said that at the time, he warned Ulbricht to shut down Silk Road, but Ulbricht said he couldn’t because he’d already sold the site to someone else. When asked by the prosecution if he believed Ulbricht, Bates said he did. Following Ulbricht’s arrest in October 2013, Bates said FBI agents paid him a visit. He testified that he initially lied to them about his involvement with Silk Road, the abandoned Bitcoin exchange, and his drug purchases before confessing. Bates eventually agreed to serve as a witness against Ulbricht to avoid prosecution. “You chose to be there, on the witness stand, rather than there, as a defendant?” asked Dratel, pointing to Ulbricht. At that point, the prosecution objected and the judge sustained the objection. Bates did not respond to the question, said Wired.